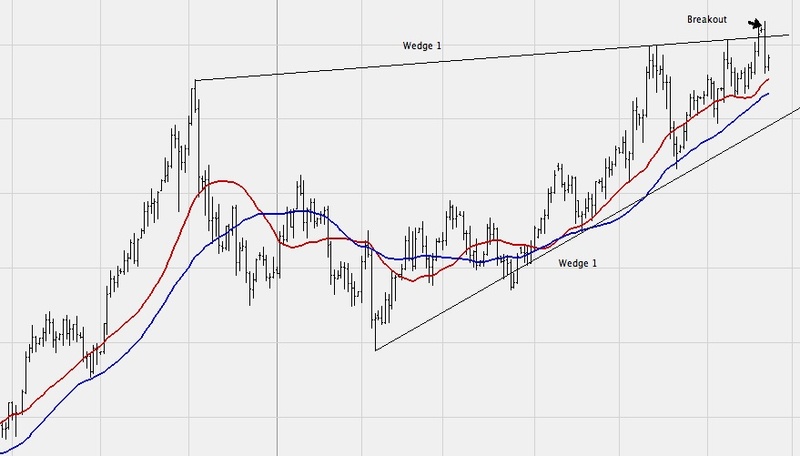 In our last technical analysis of the price of gold on June 17th we identified this wedge which is typically a bearish ending pattern. 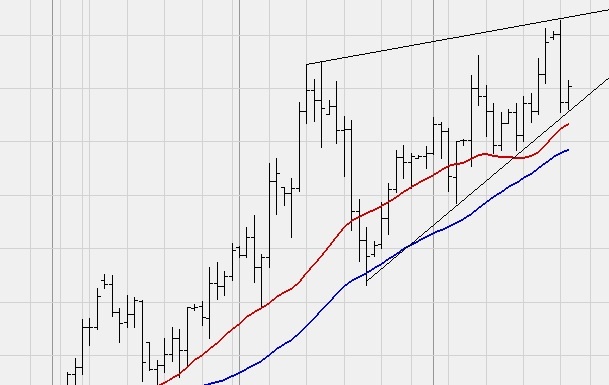 On Friday the price broke through the top line of the wedge and actually managed to close just above that line. We spoke about how the price needed to close above the line and form support to be a clear bullish indicator. On Monday the price reached an all time high once again but then collapsed back into the wedge. 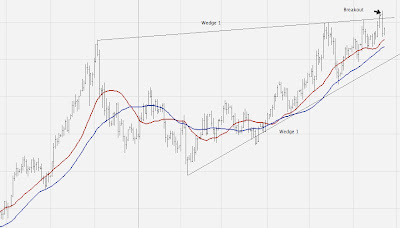 The above chart includes the latest gold price moves. As we can see even though the other wedge has been negated we can now draw a smaller wedge with Friday and Money's move touching the top line and Monday and today's low touching the bottom line. 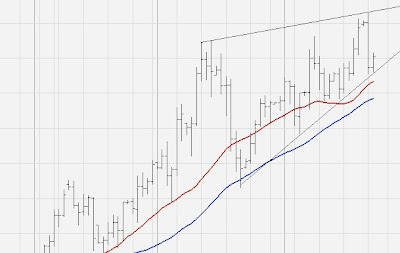 A fall below 1215/1210 would be a fall out of the wedge and signal for a rapid drop in the price of gold. Alternatively the price could rack around inside the wedge and even make a slightly higher high. To really negate the wedge we would need to see a strong push above Monday's high, closing above the top line and continuing to push up strongly closing consistently above the top line.